Research has shown that the rhythm and symmetry of a horse’s movement are perfect tools for improving a rider’s posture, balance, verbal communication and muscle control. Riding also improves concentration, memory and sequential thought processing, and can even help emotionally challenged riders articulate their feelings. Improvements often are rapid because the riders are having fun, hardly noticing that they are performing repetitive exercises that strengthen body and mind. 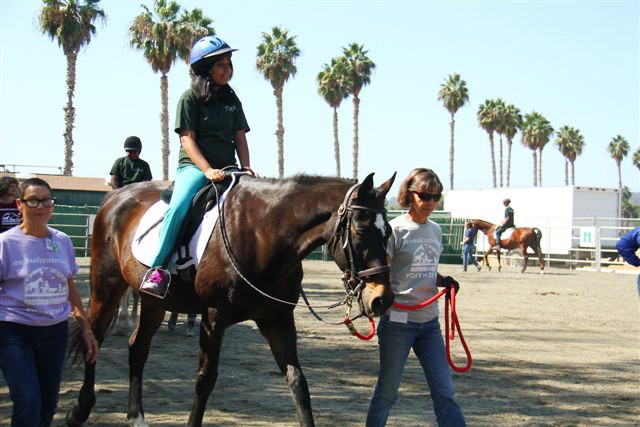 At Helen Woodward Animal Center’s Therapeutic Riding program, students ages 4 and up participate in 25-minute weekly sessions (45 minutes for groups) with PATH, Int’l certified instructors, volunteers and our amazing horses. We stress reaching goals and having fun in a safe and rewarding environment. Our lessons run every afternoon except Mondays, as well as Friday, Saturday and Sunday mornings. Every tenth week, the program has a week off to let the horses rest and the instructors prepare for upcoming lessons. 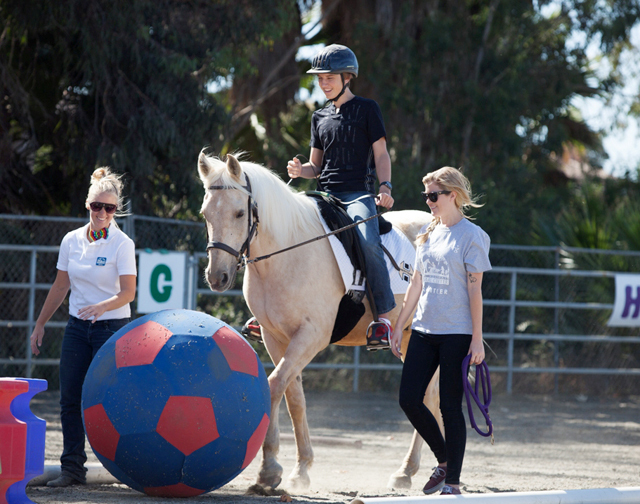 Interested in joining the Therapeutic Riding program?